For the culminating event of our MAD Mondays x Dispatches series, we head to London for MAD’s British debut. Together with our local host, The Stores, we invite you an evening of light fare, drinks, and conversation. Join us as we celebrate the diverse people, rich cultures, and delicious food contained within Britain’s borders. 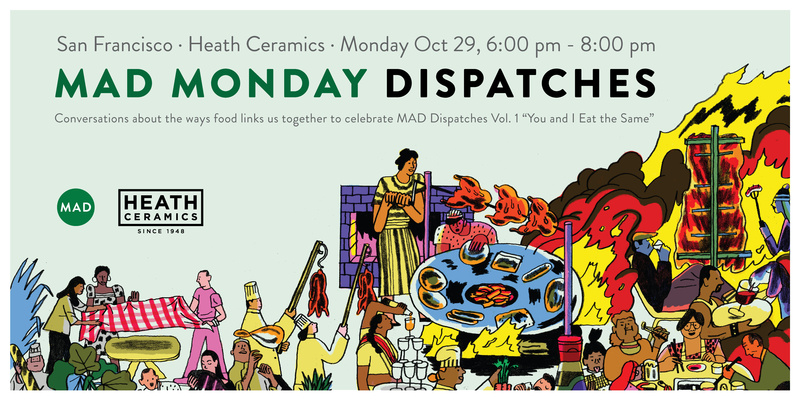 With insight from local chefs and community leaders, we’ll explore the themes found in the first volume of our new series, Dispatches. Entitled You and I Eat the Same, the book proposes that immigration is fundamental to the development of cuisine. For proof, we need only look to our host city. London is home to people from all corners of the globe. Its markets and pantries are stocked with produce from Europe and America, whilst its grills and woks teem with the fragrant spices of Asia and Africa. In a world more divided than ever, its kitchens remain a refuge of cultural diversity. 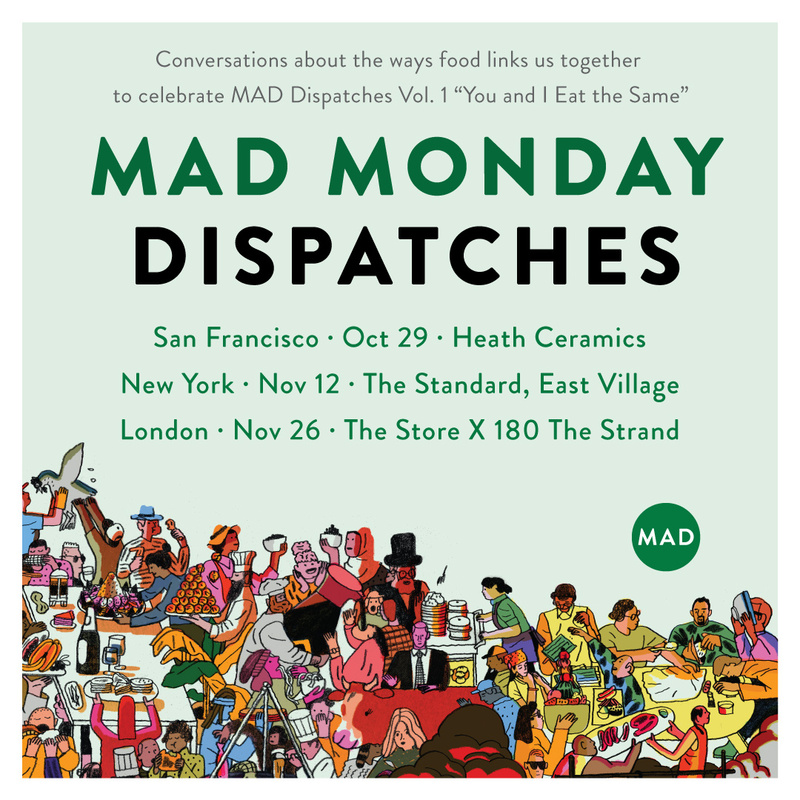 As Brexit nears, we’ll look at how we as an industry can protect and even enhance that diversity, so that London continues to set an example of how food and cooking connect us across cultural and political borders. With host Chris Ying, Editor of Dispatches. Zijun Meng, and Ana Gonçalves of TATA Eatery present a menu of light bites influenced by their Chinese and Portuguese heritage. Jack Dobbie of Redchurch Brewery will pour a range of farmhouse ales, Felix Nash of Fine Cider will offer a range of British cider and perry, and Adam Vanni of Jarr Kombucha will provide natural fermented teas. 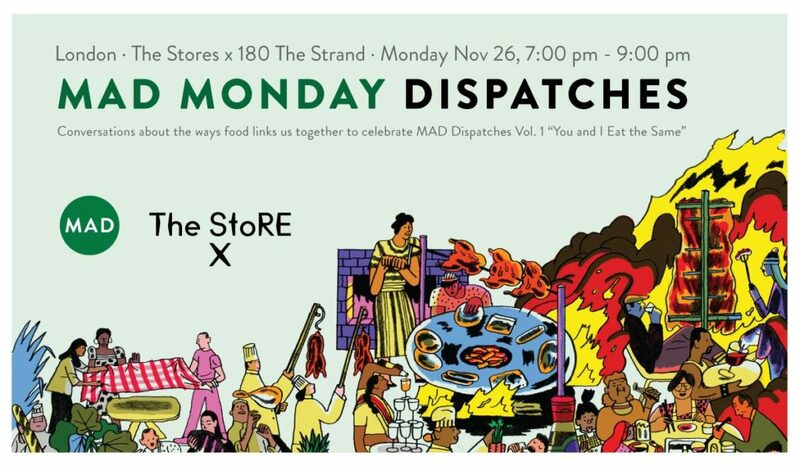 Tickets for the final MAD Monday x Dispatches event in London at The Stores are available to purchase through this link.